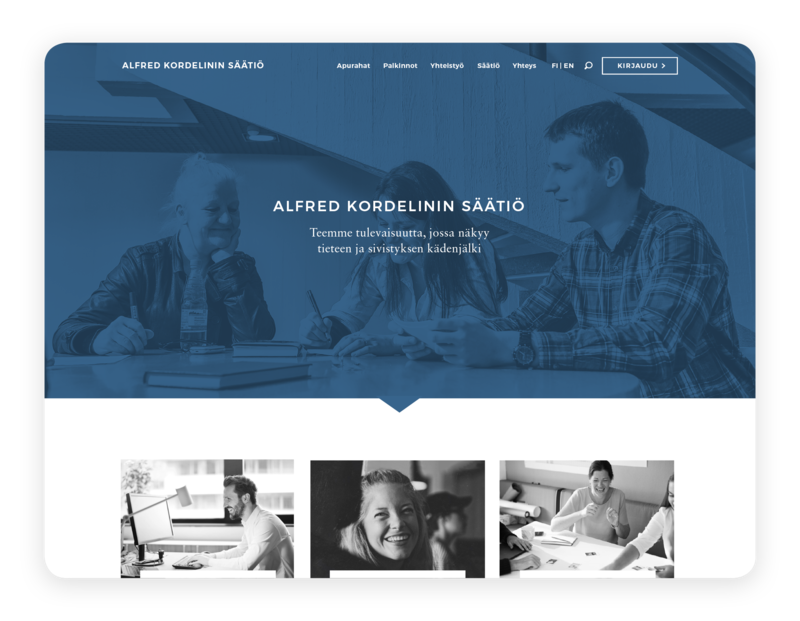 The Alfred Kordelin General Progress and Education Fund, established in 1918, is one of the oldest foundations in Finland. 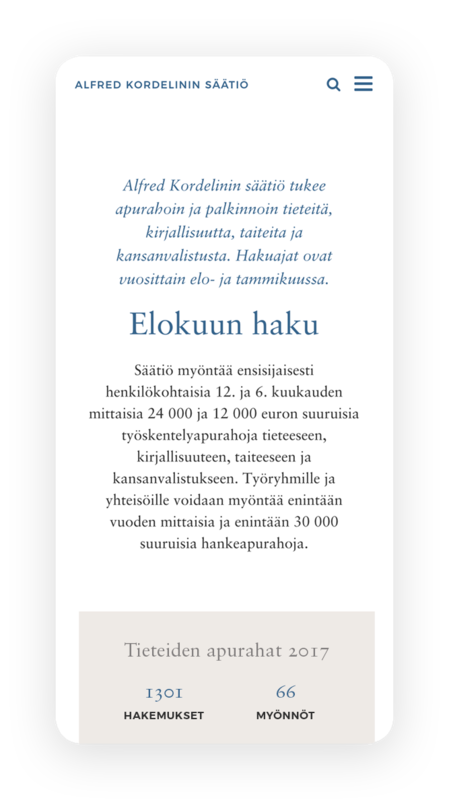 Since 1920, the Foundation has provided uninterrupted support to Finnish science, arts, literature and public education. We have the pleasure of having them as one of our most long-term clients. Over the years, we have handled their visual image and the related applications in everything from press releases to websites. We brought their websites into line with the needs of their target groups. 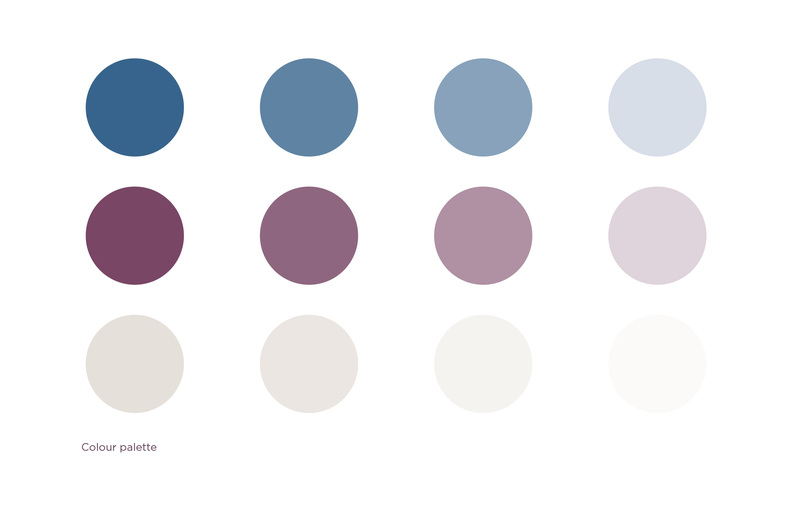 We also gave the website a visual overhaul and a more intuitive structure. 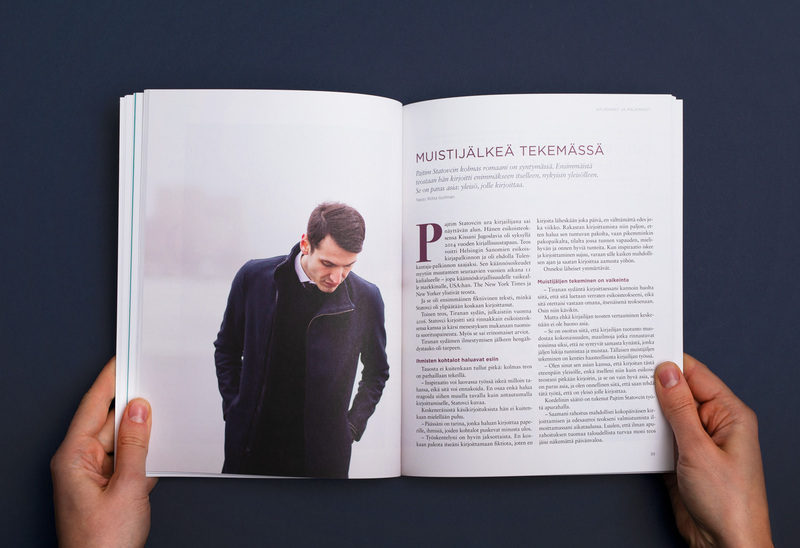 Their annual report stylishly brings together all their activities from the past year. 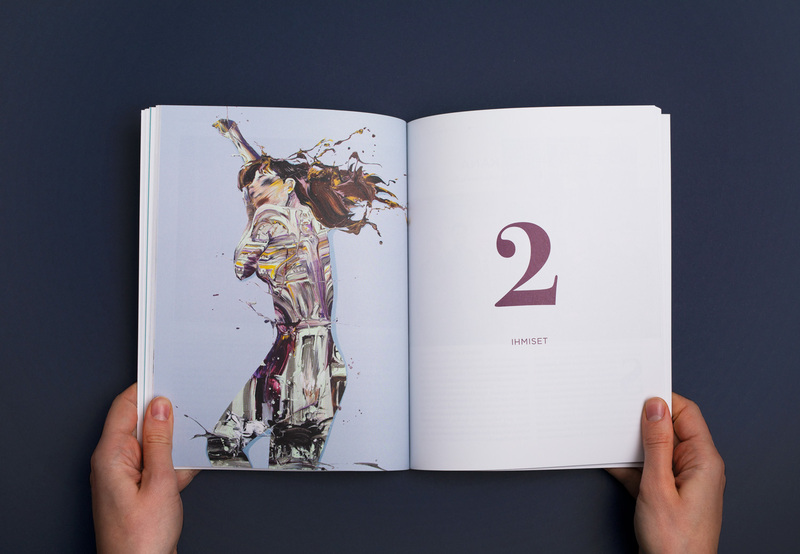 The cover and spreads throughout the book showcase the artworks of each grant receiver. 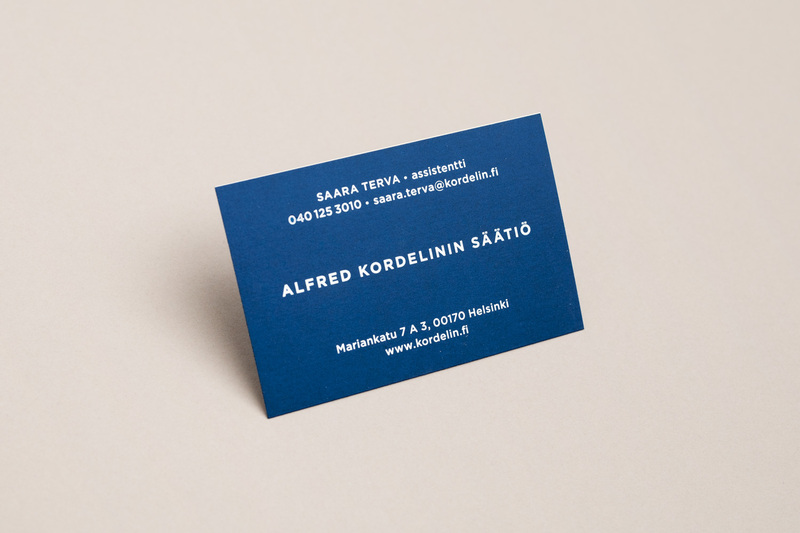 The typography is minimal, spaciously set and faithful to their previously designed visual identity. 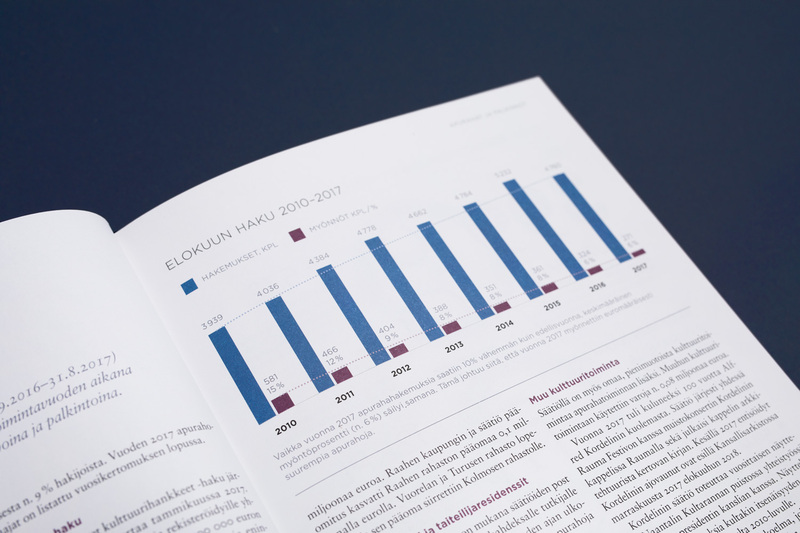 The cover’s ecological, quality materials extend the life span of the annual report. I started collaboration with graphic designer Maiju Kolisoja in 2015 when working on a project. After this our collaboration has increased to the extent that the Alfred Kordelin trust now works in partnership with Days Agency. Days Agency produce graphic services to suit all our needs, including the trust’s web pages and annual report. Understanding the customer, designing stylish and creative solutions and also delivering a dependable service, is how I would describe Maiju’s and Days Agency’s way of doing business.